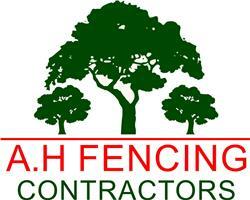 A.H Fencing Contractors Ltd - Fencing/Gates based in Thornicombe, Dorset. We are gate and fencing specialists, our services range from garden fencing, such as feather edge, post and rail, side gates and metal works. We also offer agricultural fencing for all types of animals and security fencing from palisade to barrier gates. We have lots of experience in agricultural fencing and can give advice on what fence will suit your animal the best.